Anyone who has had to make use of veterinary services can attest to the fact that veterinary care has become more sophisticated and better able to diagnose and treat pet ailments. However, with sophistication and technology has come the reality that veterinary care is expensive. In human health care, much, if not all, of the cost of care is covered by insurance, social services, Medicare and when all fails they are absorbed by hospitals. 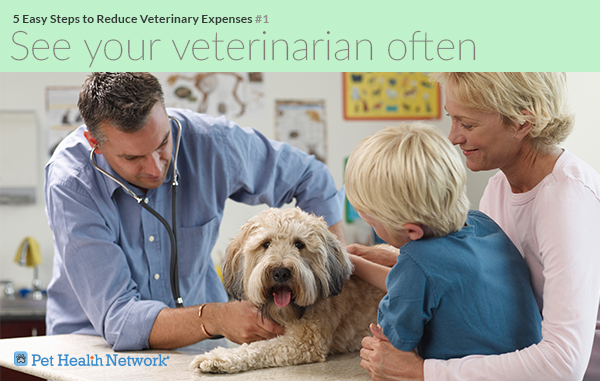 Veterinary medicine has some degree of a financial safety net under patients as well. Pet health insurance is available to pet owners however relatively few avail themselves of pet insurance. 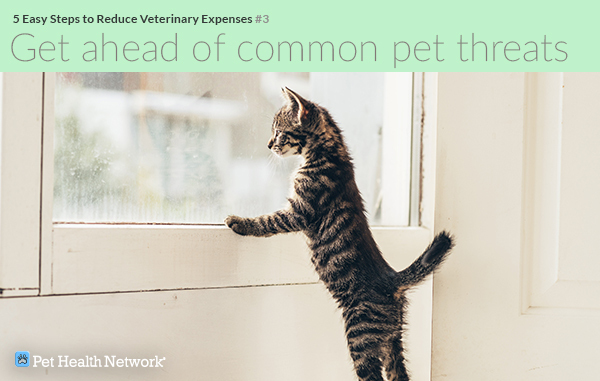 Some are unaware of the benefits of insurance while others are unaware of the sophistication of veterinary medicine and thus are not prepared for unexpected costs. Just as in human health, many pet owners do not consider avoidable risks and hazards to their pets ahead of time. Prevention is always less costly and less traumatic than treatment. Let’s look at a few basic steps pet owners can take to keep their pets healthy and reduce the need for interventional treatment. 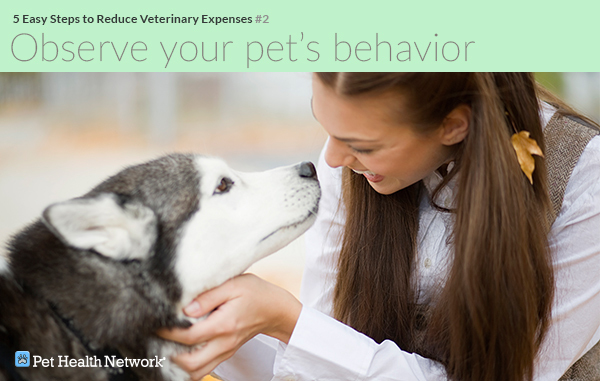 The first step is to make use of your veterinarian as a source for early detection and information. Your pet should be thoroughly examined by your veterinarian at least yearly. While this advice may seem strange for reducing costs, the truth is that the price of routine wellness exams is nothing compared to the price of fixing a major problem later. 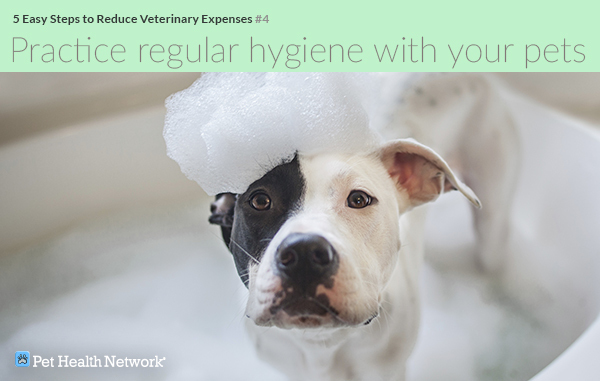 Regular physical examinations often allow your veterinarian to detect problems before they are critical (and expensive). Always be aware of what is going on with your pets. Are they active and playful? Is their weight and body condition good? Do they smell clean? Ears, teeth, skin — all can give you a heads up that there is something your veterinarian needs to evaluate. Changes in appetite, toilet habits and water intake can be an indication of a problem. Carefully observe your pets even when they’re healthy, after all, if you don’t know what is normal how can you recognize a change? Most pet parasites are also preventable by using year round controls and preventives. These parasites pose threats to dogs, cats and people (especially children). While some parasitic diseases are incurable they are often avoidable. Don’t forget to check out “Beware the Bug” for more parasite information. Diseases of the ears and skin causes a lot of pet discomfort and can lead to chronic problems. Make sure your pet is well groomed and clean. Evaluate his ears for discharge and odor and ask your veterinarian how best to keep them clean. Over half of all dogs and cats are significantly overweight, according to petobesityprevention.org. 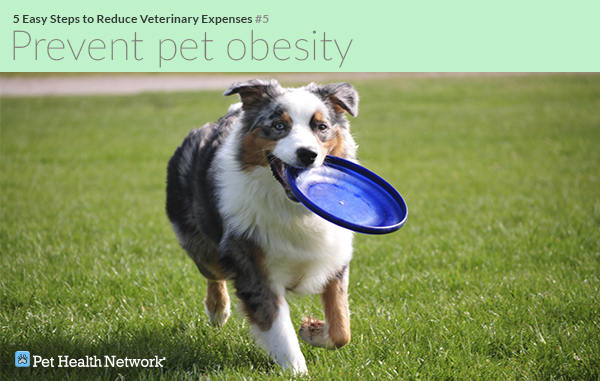 Obesity puts dogs and cats at risk for avoidable health problems. Since we are responsible for feeding our pets, we are also responsible for their weight management. Look at this list and consider the cost savings. None of these steps are difficult, nor are they particularly costly, but the savings can be significant.